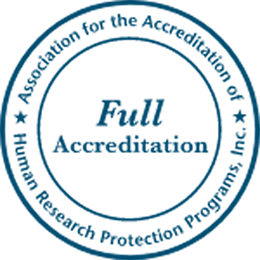 For over 40 years, PRIM&R has hosted educational events where professionals gather to learn, deconstruct, discuss and debate issues related to human subject protections, research ethics and oversight, and to network with colleagues in the field. The 2018 Advancing Ethical Research Conference (AER18) will bring together more than 2,300 professionals from public and private institutions, the federal government, industry and academia. The conference will begin on November 14 with several intensive preconference programs on timely topics related to IRB administration, research oversight and research ethics more broadly. Attendees will also learn about ethical issues and the federal regulations governing human subjects research, best practices for the review and monitoring of research, implementing the changes to the Common Rule and other late-breaking topics through a series of keynotes, panels, and 100+ breakout sessions. Co-leads the “Biobanking in an Era of Research Towards Precision Medicine: Approaches to the Ethical, Regulatory, and Practical Challenges” pre-conference on Wednesday, November 14, at 8:30 a.m. PT. Leads a workshop for “Legal and Regulatory Changes: A Year in Review” on Thursday, November 15, at 1:15 p.m. PT. Participates as a member of “Panel VII: IRB Decision-Making From a Behavioral Economics Perspective” on Saturday, November 17, at 10 a.m. PT. “Meeting Management for IRB Chairs” on Thursday, November 15, at 11:15 p.m. PT. “Designing Trials for Completion” on Thursday, November 15, at 3:00 p.m. PT.